Proper Airflow is Key to Comfort & Efficiency! We offer custom ductwork design, fabrication, installation, and modification for residential & commercial air conditioning and heating systems. 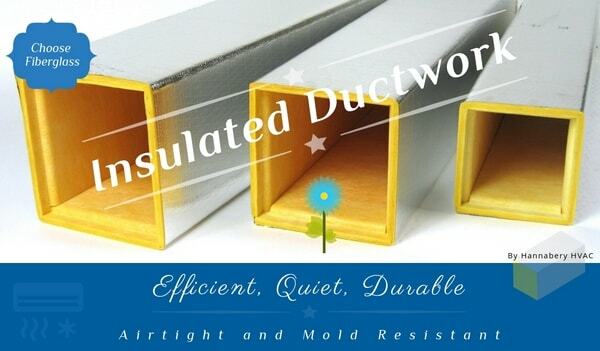 Almost all of our ductwork is hand-made to exact specifications in our shop. 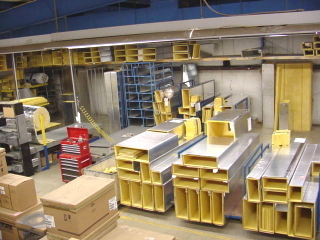 Fiberglass ductwork and fittings are precision-made in our shop. All of our duct sytems are calculated and designed to provide the optimum airflow needed to properly and quietly heat and cool your home or business. Did you know that the efficiency of your air conditioning and heating system, and the comfort it provides is directly related to the design, quality, and condition of your hvac ductwork? Incorrectly or poorly-designed ductwork can restrict airflow and reduce system efficiency throughout your house or business. 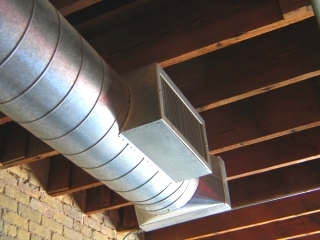 Old and leaky ductwork in un-conditioned spaces can further reduce system efficiency. Ducts also trap debris and dust which build up over time, also reducing system efficiency and airflow. 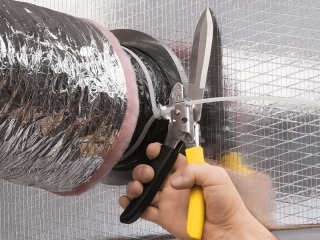 We install both sheet metal and fiberglass ductwork, and we properly seal all duct connections to prevent air leakage. 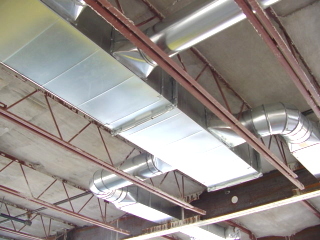 All flexible ductwork is tool-fastened for airtight connections. We also install bath, oven, and dryer venting, commercial ventilation systems, fire dampers, underground duct, insulated duct, exposed spiral duct, and more! Poor airflow? Noisy air vents? We can fix that! Have your Ductwork professionally installed today!